SafeDNS vs OpenDNS - What is the Difference? Which is Best? We will do a complete analysis of SafeDNS vs OpenDNS. I will compare both SafeDNS vs OpenDNS by speed, security, privacy, and performance. I give you a brief description of both what is SafeDNS and What is OpenDNS. I will also share both SafeDNS and Open DNS IP. We will make a significant comparison on both of these DNS and find the best. 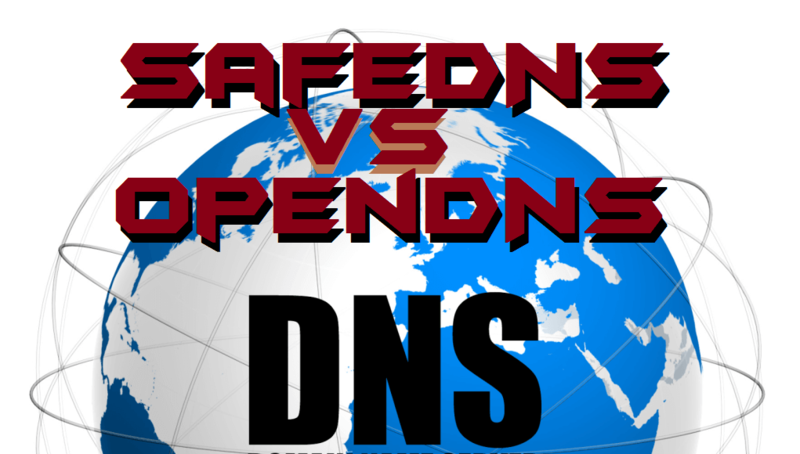 1 SafeDNS vs OpenDNS – What is the Difference? Which is Best? 1.3 SafeDNS vs OpenDNS – Which is best for Speed? 1.4 SafeDNS vs OpenDNS – Which is best for Security? 1.5 SafeDNS vs OpenDNS – Which is best for Privacy? 1.6 SafeDNS vs OpenDNS – Which is best for Performance? 1.6.1 Last Words SafeDNS vs OpenDNS – What is the Difference? Which is Best? IT is a complete guide on SafeDNS and OpenDNS. We will not only compare but find the best DNS. We will analyse both SafeDNS vs OpenDNS by speed, security, privacy, and performance. You can read the complete article from head to toe to find the best DNS from these two SafeDNS vs OpenDNS. SafeDNS is a company which provides online security for private and corporate users with its content filtering solutions by boosting the DNS (Domain Name System). It has some more features like malware and botnet protection, content filtering, blocking objectionable content, and lots of more. It was founded in the year 2010 by a group of some IT entrepreneurs. Currently, Dmitriy Vostretsov is the CEO of SafeDNS. Moreover, it is the secure, quick and reliable solution to block malicious websites and advertisements from damaging your system. If you want to use SafeDNS for free, then use 195.46.39.39 & 195.46.39.40 IP addresses in your computer as primary and secondary IP address. OpenDNS is a Domain Name System (DNS) system that provides some great features like content filtration, phishing protection, unwanted content blocking, etc. It is faster, reliable and zeroes downtime. It was founded by David Ulevitch on 1 November 2005. On 27 August 2015, a company Cisco acquired OpenDNS. It hs over 25 data centres worldwide and over it gets over 100 billion queries daily. Moreover, OpenDNS is free to use by using its primary and secondary Domain Name serves. Its DNS are 208.67.222.222 and 208.67.220.220 which is primary and secondary respectively. SafeDNS vs OpenDNS – Which is best for Speed? If we talk about speed then its very simple that it depends upon your area or your locality. It varies from one region to another region in speed. Maybe SafeDNS has excellent speed in my area. But, your area is less active for SafeDNS but, having the extreme speed for OpenDNS. So, this explains that how does the speed vary from one to another place. However, OpenDNS has more than 25 data centres worldwide, and that is much enough to get access to OpenDNS from anywhere in the world. So, you can go for OpenDNS in speed. But, do not forget to try SafeDNS also. SafeDNS vs OpenDNS – Which is best for Security? Security is the big thing which every company can’t neglect especially in case of Domain Name Systems (DNS). No doubt that SafeDNS and OpenDNS both are giving best possible security to its customers. However, demanding for security from SafeDNS and OpenDNS both will take you the paid offers as it is a significant thing. For protection, OpenDNS and SafeDNS both are best. In fact, both the DNS’s are already giving content blocking, malicious websites blocking types features so that your system will not be damaged. So, yes you can use any of the DNS services which you want to use for security. Both are best in their place, and also they are trying their best to improve their security system. SafeDNS vs OpenDNS – Which is best for Privacy? Privacy is paramount in our life. Without intimacy, we feel unsafe. When we are looking for privacy, it is complicated for us to determine which offer will be best for it. The same happens in the SafeDNS vs OpenDNS topic. Both the DNS services are giving us efficient privacy whether we talk about SafeDNS or OpenDNS. We have seen that how they are offering security to us. Similarly, privacy is also provided by SafeDNS and OpenDNS for their customers. Also, it is essential for any DNS company that it gives full privacy to their customers. So, both the DNS’s are best in solitude. The choice is yours whether to choose SafeDNS or OpenDNS. SafeDNS vs OpenDNS – Which is best for Performance? Performance of a DNS service is measured on its speed. As we have seen earlier the speed of both the DNS varies from locality to locality. Thus, it is possible that the performance which I am getting from OpenDNS may differ to the performance you are getting from OpenDNS. However, every DNS company claims that they are giving the best performance to their customers at every place. Moreover, it also depends upon your system that how smoothly it is completing any tasks. If your order is very cheap, then you might not get the best performance from SafeDNS and OpenDNS both. But, if you have a good chipset on your system, then it is apparent that you will get the best performance from both the DNS’s. Now, you have to choose which DNS server you want. Last Words SafeDNS vs OpenDNS – What is the Difference? Which is Best? Just now, we have gone through the battle of SafeDNS vs OpenDNS where we found that both the DNS’s are best at their place. Sometimes, it happens that we don’t get that much speed and performance from a private DNS service because of our cheap system. So, before using SafeDNS and OpenDNS make sure you have a good system with a good chipset. Moreover, in privacy and security both the DNS are giving their best so that customer will not face any trouble while using these DNS services. Share this article with your friends and tell them about SafeDNS and OpenDNS.